This natural black pumice stone is great for exfoliating. The real volcanic pumice helps to gently smooth problem areas of rough skin. 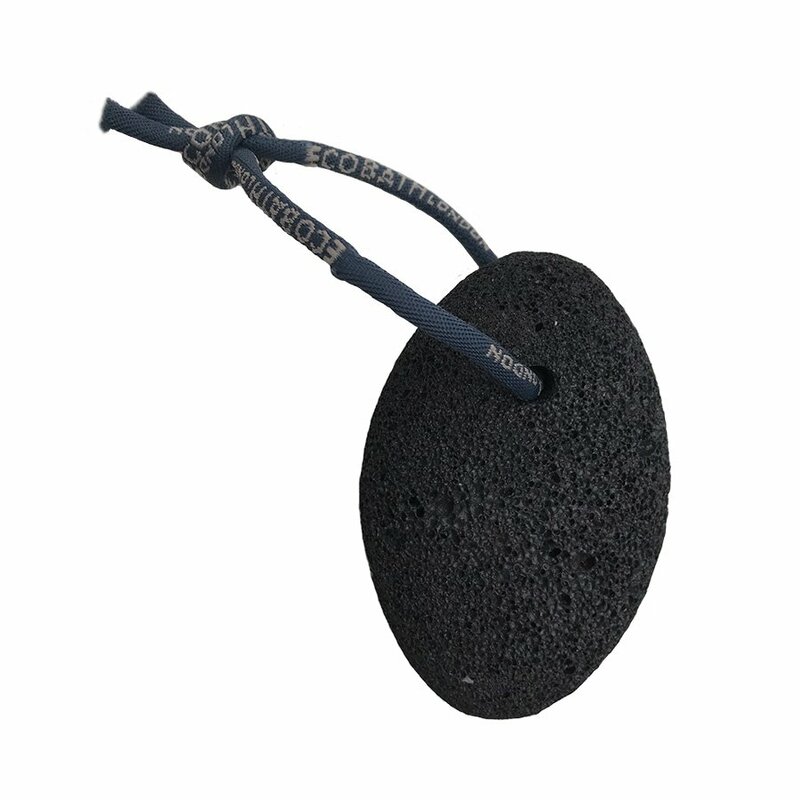 The pumice stone has an Eco Bath ribbon attached for easy handling and storage in the bathroom. As the stones are totally natural we can't control the colours and they may vary. Rope colour may also vary. The Natural Pumice Stone With Rope product ethics are indicated below. To learn more about these product ethics and to see related products, follow the links below. There are currently no questions to display about Natural Pumice Stone With Rope.